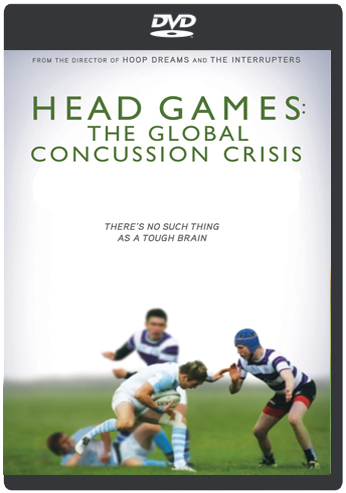 From acclaimed director Steve James, Head Games: The Global Concussion Crisis is a revealing documentary that captures the attention of a worldwide audience and exposes a problem that has undeniably become an epidemic on a global scale. Internationally respected medical experts, professional and amateur athletes and their families will offer eye-opening insights and cutting-edge science on head trauma that will demand that the perception of concussion change to guarantee the health and safety of athletes as a top priority. From the acclaimed director Steve James (Academy Award-nominated Hoop Dreams, Emmy Award winning The Interrupters), Head Games is a revealing documentary about the silent concussion crisis in American sports. Athletes from the professional to the youth levels share their personal struggles in dealing with the devastating and long-term effects of concussions, an epidemic fueled by the 'leave everything on the field' culture so prominent in American sport. Inspired by events from the book Head Games written by former Ivy League football star and WWE wrestler Christopher Nowinski, and featuring interviews with Nowinski, Bob Costas (NBC Sports), Keith Primeau (NHL All-Star), Cindy Parlow Cone (Olympic Gold Medalist, Women’s Soccer), and many more, the film contrasts eye-opening evidence and cutting-edge science on head trauma from the nation's leading medical experts with first-hand accounts from the athletes, coaches and parents who must tread the difficult balance between sports excellence and basic self-preservation. 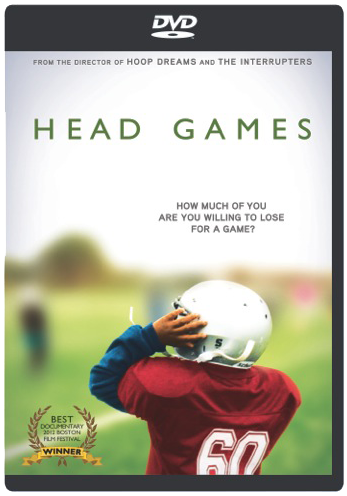 Schedule a Head Games Group Showing! Publicity material will be provided for the promotion of your group showing. You may charge for admission.